When building your new home, there are many details to consider putting into it. One major element that will elevate your home is a fireplace, or two or three! 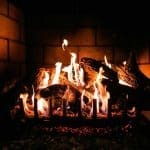 Living by the shore, the winter’s can be long and cold, so what better way is there to warm up after a chilly surf, after venturing to your favorite coffee shop, or after a long day of work than a bright, inviting fire?! With new construction, you have free reign as to what you want your home to look and feel like down to every last inch. Architects are there to hear your vision and put it onto paper. They can adjust and create as you wish and then the project goes to your builder. Once you set your mind on wanting a fireplace, the fun begins! 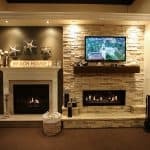 Heading over to Fireplaces Plus on Bay avenue in Manahawkin will give you the best idea of what kind of fireplace you want, how many you want, where you want to put it, and so much more. 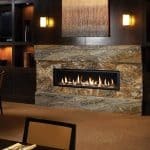 Fireplaces Plus has so much to offer, including gas, electric, and wood burning fireplaces. They offer a multitude of brands, ranging in style, price, quality, and size. The majority of the brands offered can be seen in their expansive showroom. Their brands are: AJ, American Hearth, Astria Fireplaces, Cultured Stone, DaVinci Custom Fireplaces, Dimplex, Dracme Cast Stone Fireplace Surrounds, Eiklor Flames, Elmira Stove Works, Fireplace Xtrordinair, Forshaw, Good Directions, Hearthstone, Hults Bruk, The JC Huffman Cabinetry Co., Jotul, Kozy Heat Fireplaces, Lopi, Magra Hearth, Mendota, Monessen, Napoleon, Pilgrim, Premier Mantels and Millwork Co., Stoll, The Outdoor Greatroom Company, and Vermont Castings. With all these options, there is no need to worry about finding the right fireplace for your home! Builders, bring your clients on down to show them all the fireplace options and finishes that you can include in their dream home. 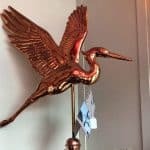 Clients, come visit our showroom so you have an idea as to how you want to outfit your home! Once everyone is happy with the selections, the builders can install the products easily and your home will soon be complete and ready to enjoy. When your at Fireplaces Plus you can close your eyes and imagine laying in bed on a snow January morning, looking outside and seeing the frost. You roll over and gaze at the beautiful fireplace that you had installed directly across from your bed. Grabbing the remote, you turn it on and watch the flames dance in front of you. If only you could have a remote to bring you a cup of coffee in bed too! After finally getting up, you decide it is going to be a lazy sunday and you walk down stairs to your family room. The kids are up gathered round the massive hearth you had installed, enjoying the warmth of the fire and somehow behaving. You can’t imagine not having these wonderful sources of warmth and entertainment in your home. Then you open your eyes and realize you are still at the showroom! Immediately you decide it is time to install some fireplaces in your new home, making your dreams come true!